Diana recently attended a string making workshop at Rekindle and is happy to provide a workshop so that you can learn this great skill. This workshop will give you a resourceful skill that you’ll be able to use in so many ways for the rest of your life! 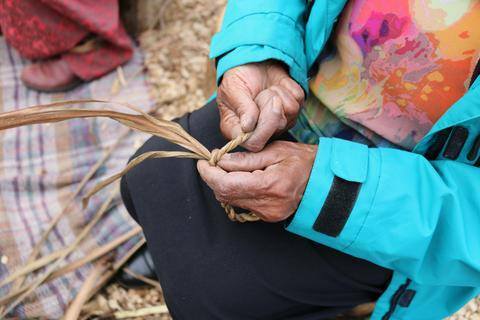 This technique for making string and rope is simple and can be used with many different materials. You will learn how to use tī kōuka / cabbage tree leaves as these are abundantly available. Afterwards, you’ll never look at tī kōuka leaves the same way again! It will be a really fun session and I can’t wait to share this lovely hugely practical craft with you.